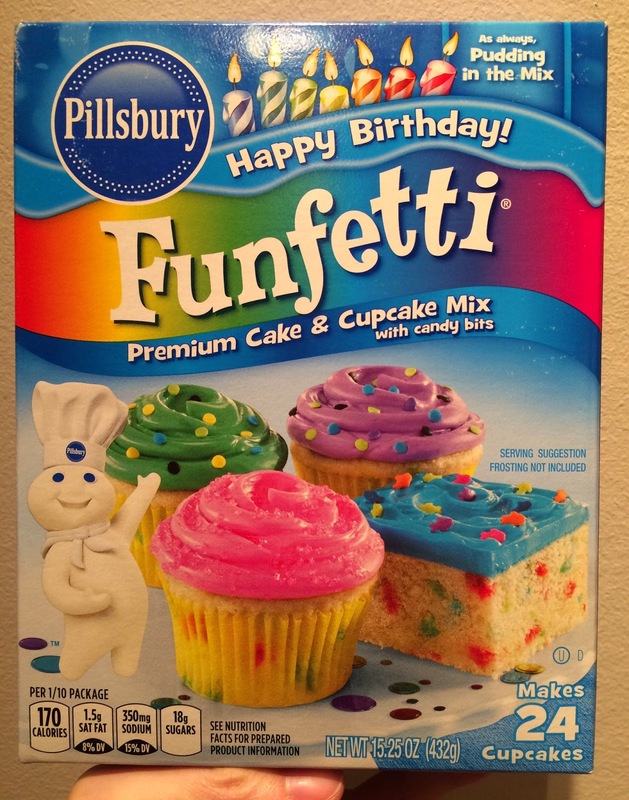 We found this "Pillsbury Funfetti Premium Cake Mix" at my husband's parents' house, and we brought it back with us. 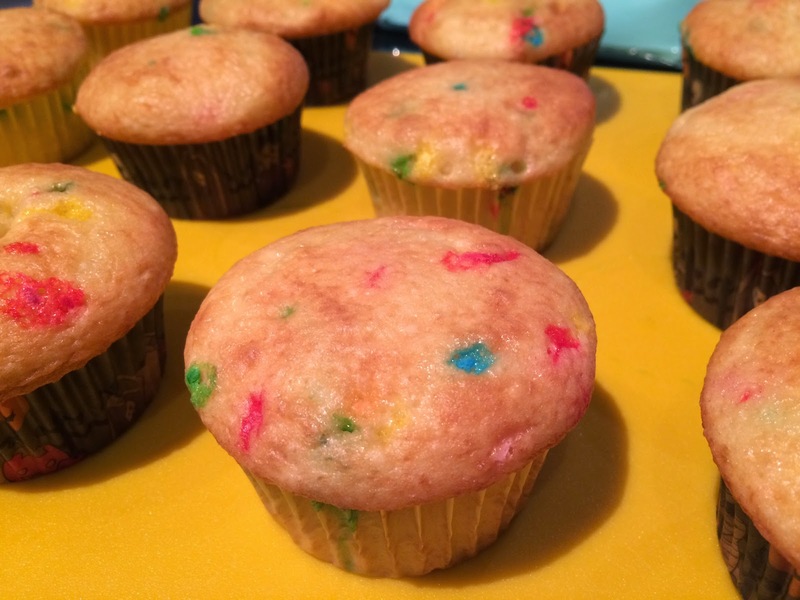 On the side, there's how to colorize cakes with food colorings. 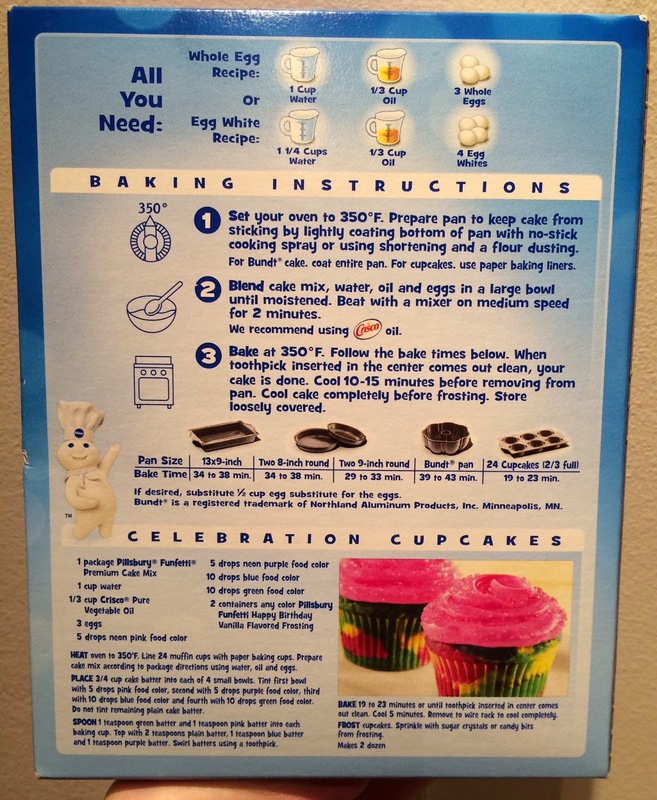 I followed the upper ingredients, which uses 3 whole eggs. Besides eggs, I needed 1 cup of water and 1/3 cup of oil (both use U.S. measure). The powder had very sweet scent and could see colorful dots. Preheated to 350 degrees in Fahrenheit (177 in Celsius), and baked for 20 minutes. After they became less hot, I moved them into a refrigerator to cool them completely. 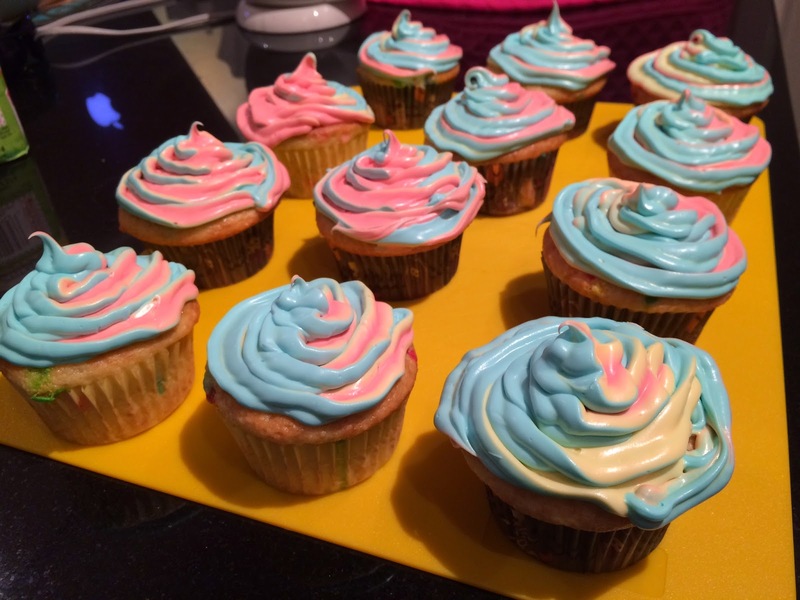 I divided a cup of vanilla frosting into 3, and added yellow, blue and red to make the frosting colorful. 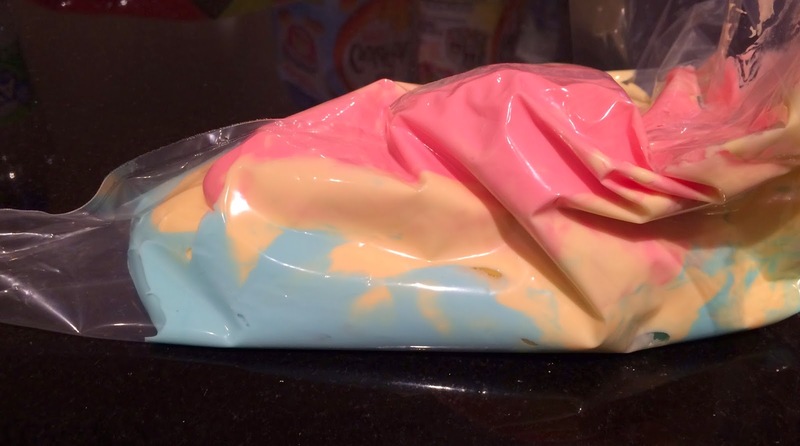 In a piping bag, I put each color in layers, trying not to mix. 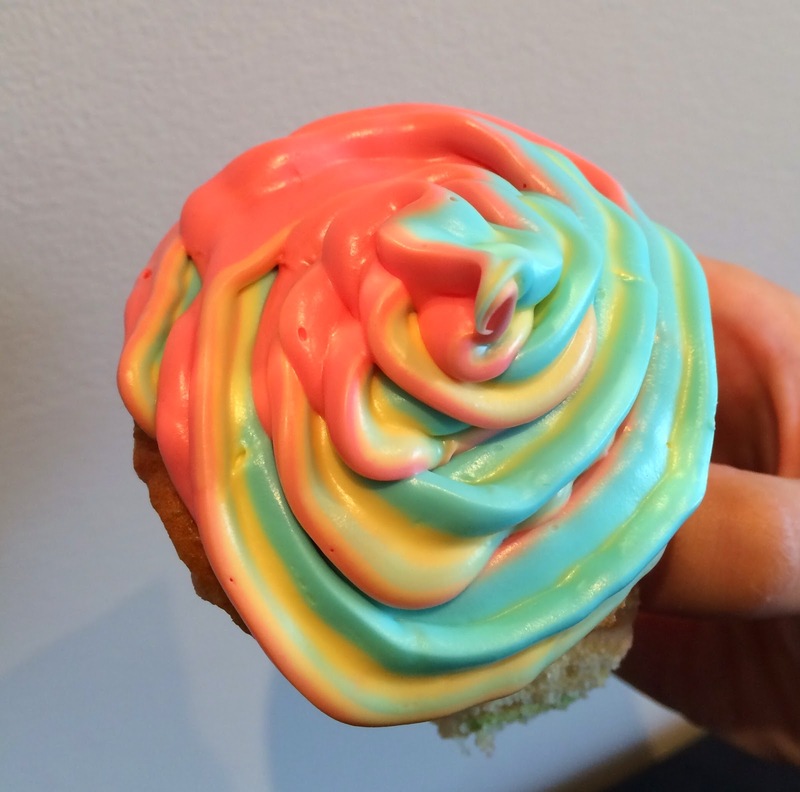 The frosting came out like this. 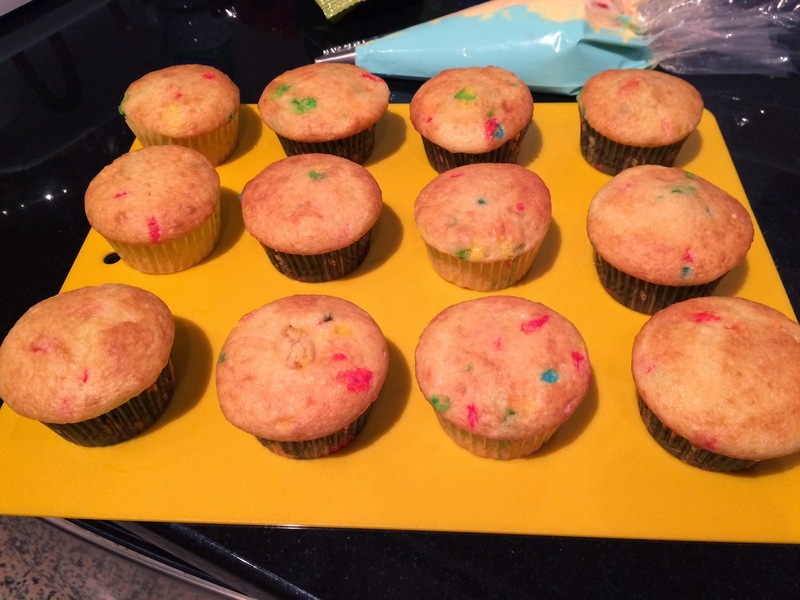 Some were hard to see the yellow but at least each cupcake had all the colors. This is one of the best ones. 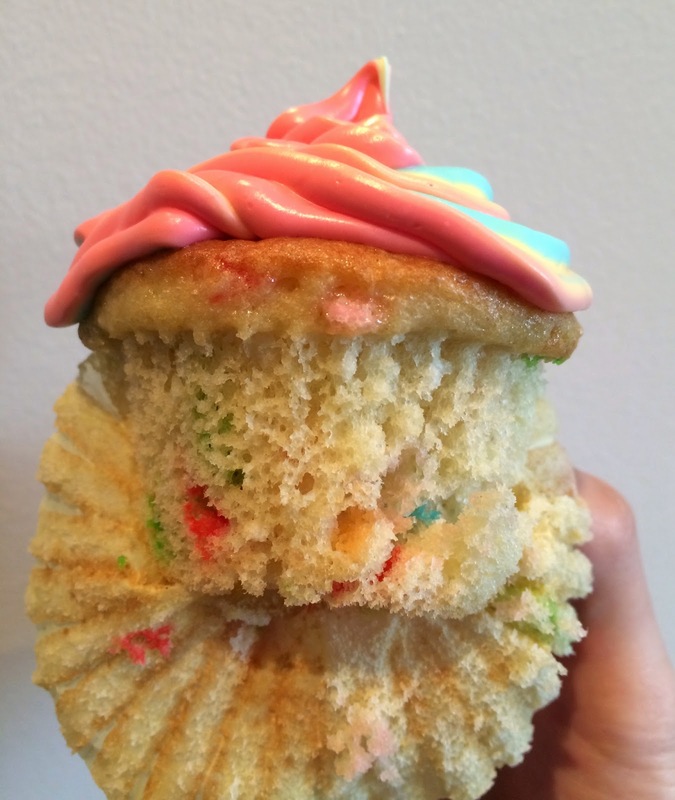 The cupcake was sweet, fluffy, and moist. 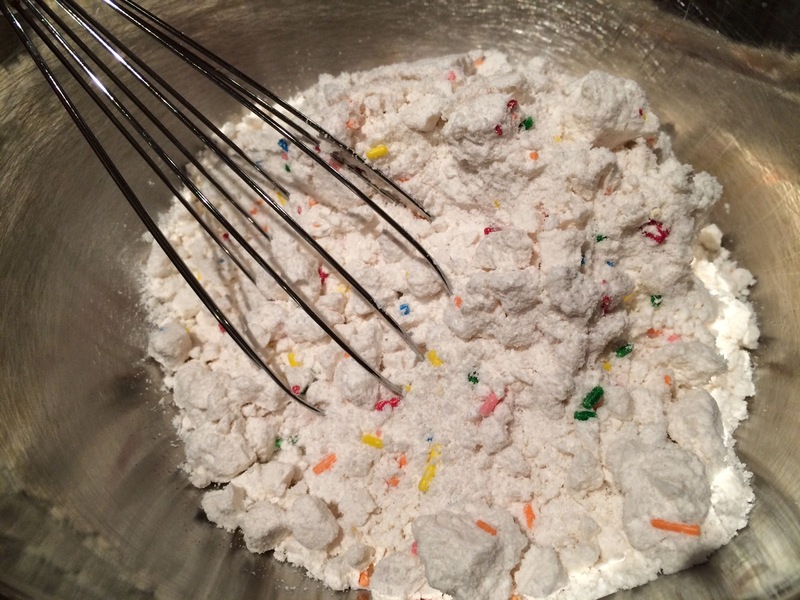 Especially the colorful dots were crispy and sugary, and they must be full of sugar. 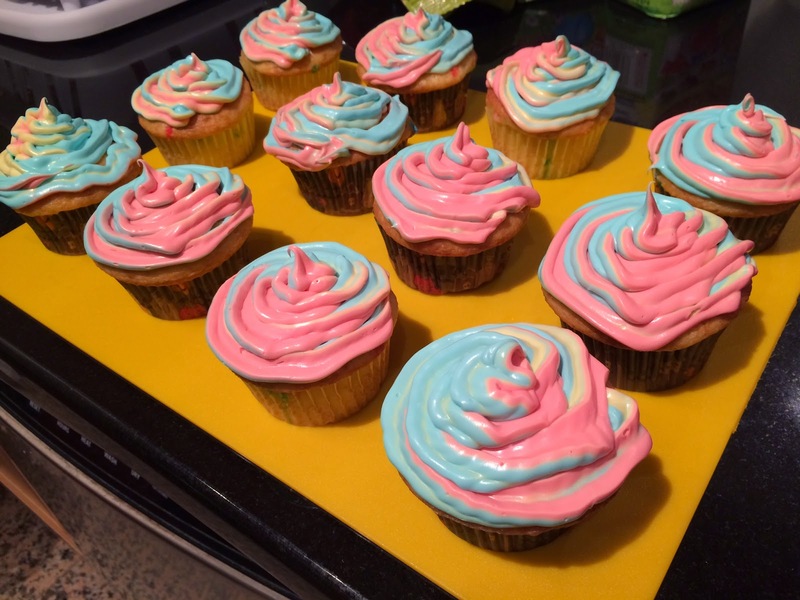 I don't think Pillsbury cake mix can ever fail from my experiences because it's so easy and they turn out quite good.